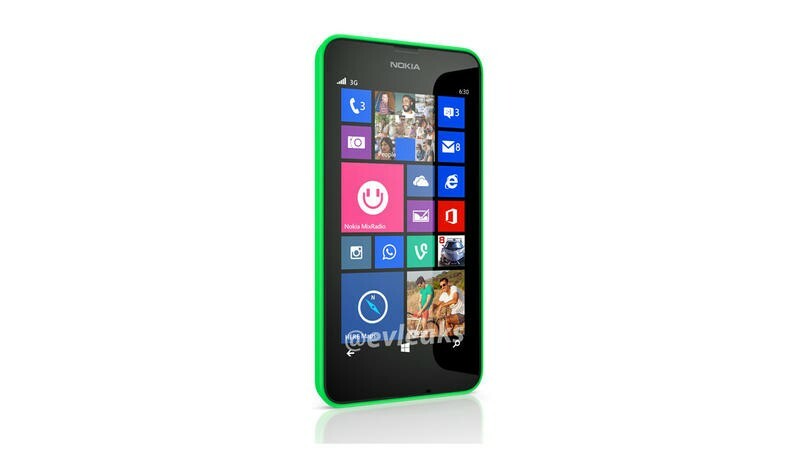 The Nokia Lumia 630 has broken cover in a leaked press image, but a lot of it still remains a mystery. Despite the Lumia Icon showing us some hope that Nokia would finally break away from the numbering system that has left so many confused, notorious mobile leaker @evleaks debuted an image today of a device known as the Lumia 630. Beyond the name he didn't share any information, but we can glean a few bits of information from it. Due to the numbering convention Nokia uses, and the fact it only shows 3G up next to the signal strength, this does appear to be a lower end device. The lime green shell does seem to be a pretty solid indication that this handset will be available in a multitude of colors, but that isn't wholly unusual for the company. Nokia does have an event scheduled at Mobile World Congress in just a few hours, but evidence seems to be pointing to the X Android phone being the focus of that event. There is always a chance a few more devices will make their debut, so we'll just have to wait and see what the company has up its sleeves later. TechnoBuffalo is on the ground in Spain for the event, so we'll bring you all of the coverage as it happens tonight in our Nokia MWC 2014 Liveblog. Be sure to join us!